Hi everyone; thank you to Rachel for letting me come over to her blog and guest host the Aussie WIP Wednesday Linky Party. 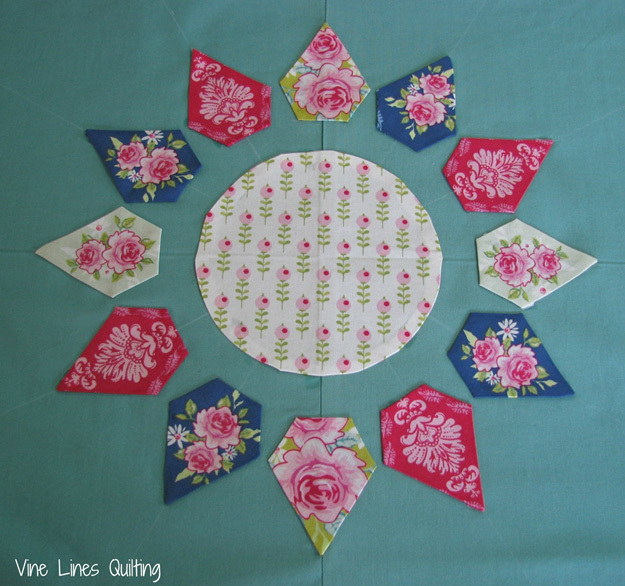 I’m Linden from Vine Lines Quilting; I’m a quilter, blogger, virtual assistant, wife and mother of two small children. I also knit and enjoy cross stitch and tapestry when time allows. The theme was definitely colourful crochet again this week. I admire those who can crochet; I’ve tried a number of times but I need to be holding a needle in both hands! On a quilty note, I love the colours Kylie from Little Black Marks chose for this colourful quilt for her niece. This week I’ve been working on two major projects. I launched the Aussie Aviatrix Quilt-a-long last week. Rachel is one of the fabulous bloggers joining me in the blog hop; you can read her post on 15 October. Cutting out the fabric has been a marathon; I’m looking forward to starting the actual sewing! I’m using Emma Jean Jansen’s beautiful Terra Australis 2 fabrics for mine. I love the bright, funky modern Australian prints. I’m using Paula Storm’s “Needleturn without the Needleturn” applique method which I learned at a workshop with her earlier in the year. Finally, I’ve got a knitting finish! I’ve been watching the Outlander series with some friends each Thursday night and have been knitting this long-term WIP. I finally finished it off this week – it needs blocking but the knitting is done. 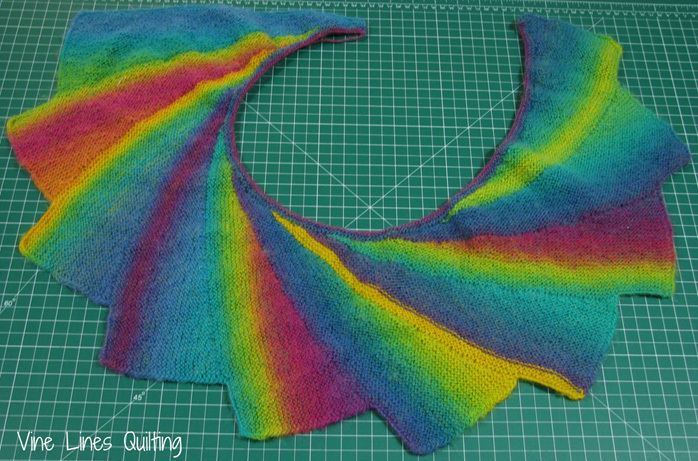 The pattern is called Wingspan and can be found on Ravelry. Thank you again to Rachel for letting me guest host this week; I do hope you can join us both in the Aussie Aviatrix Quilt-a-long! In the meantime, happy crafting. Lots of lovely crochet this week. Love those bright fabrics and your Wingspan looks great.